When I tell folks that Cards Against Humanity is leveraging all sorts of unusual ideas, the heads start shaking. The reactions aren't much different when you bring up Patagonia or REI. 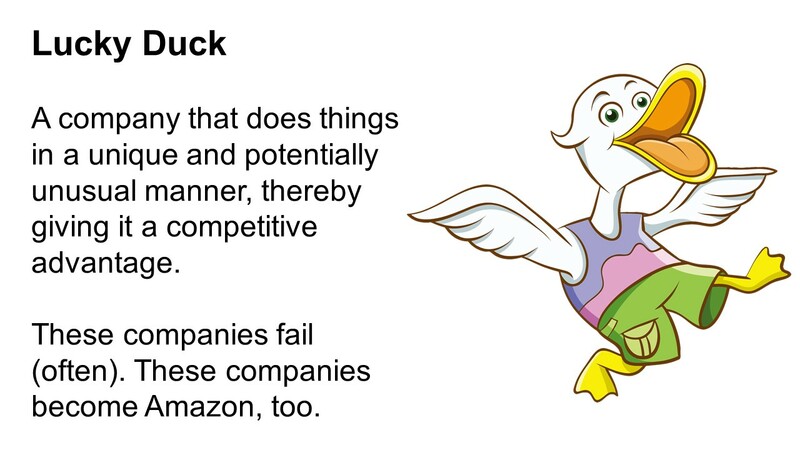 These companies posses an unusual brand attribute ... they are "Lucky Ducks". They tried something very unique and very different and they experienced success. Eventually, creativity and brand belief became part of the DNA, to the point where they have success because they possess the DNA to have success. Many of us have ideas. Most of us share the ideas and get shot down. If a company is largely an Omnichannel Zombie, for instance, the Lucky Duck gene is dormant. You can't tell Macy's to do something crazy, because the culture is designed to not absorb a 20% shock to sales if the idea doesn't work. Ask JCP what happens when somebody goes "all in" on a different idea. And yet, other retailers execute the ideas/tactics that JCP or Macy's would find abhorrent. Other retailers have the Lucky Duck gene. Duluth Trading Company ... seemingly loathed by many New England centric catalogers ... they have the Lucky Duck trait ... odd ads that many find distasteful but appeal to the audience that they pursue. A catalog Omnichannel Zombie simply won't take the risk, and quite honestly cannot take the risk because the Lucky Duck gene isn't in their DNA. If you have ideas, share your ideas with companies that have the Lucky Duck gene. Or go work for that type of company. You can't tell K-Mart to do something if the Lucky Duck gene is dormant at K-Mart.